So after writing last week about how excited I was to get started on my new direction, I kind of crashed and burned. I mean, in terms of being productive. I just couldn’t seem to gather the energy to get started on my new plans, or do much of anything, really. Over the weekend, in a group of supportive friends, I was able to articulate that I feel like (in my writing and biz life) I’ve been giving and giving and giving – with very little in return. I do love what I do, and would do the writing part whether or not I was compensated, but even so. After a while it wears on the soul. This week I’ve been working with my biz coach and tribe of women, and I feel like I’m finally back on track. They helped me to see that it’s completely normal, as an entrepreneur, to “hit the wall” and to have to figure out how to keep moving forward. I liked my biz coach’s notion that our failures are simply clues about how to better relate to our audience and clients. I can do this. I’ve drafted my sermon for this Sunday – that feels really strange to say, as a Pagan priestess – and I’m pleased with how it’s coming along. I’ve been asked to give the service at a local Unitarian Universalist church, where I am part of a women’s group. 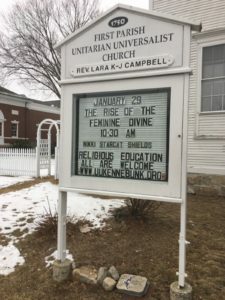 I’m actually quite excited about it, and I look forward to offering the same sermon to other UU congregations in the future. I’ve been thinking about my novel draft, though I haven’t done any actual work on it lately. But pondering and musing is definitely part of the process. I’ve been reading a lot, and watching some shows and movies that inspire me. For me, that’s part of the process of being in the creative cave. I need to get re-inspired and to allow myself extra rest and self-care, which I’ve been doing. If you’re curious, my reading has included book 4 of the Wheel of Time series by Robert Jordan (and now I’m on to book 5), Talk Like TED (a book about being a better public speaker, very timely for me), and Cheryl Richardson’s recent book on self-care. I watched the movie The Prestige last night, which is about rival stage magicians in the late 1800s and also has David Bowie playing Tesla. The movie is a really good story, and is also creepy and thought-provoking. I’ve also been watching Star Trek: Deep Space Nine. We’re near the end of season 3 and it’s wonderful. So, that’s all I have to report for this week, but I’m actually (really really) back on track now, and should be moving forward toward my goals from here on out. So be it! After a couple of disappointing responses (in terms of number of participants) lately to some free online workshops we’ve been offering in my business, Feline Dreamers, I’ve been rethinking my goals and directions for 2017. Even though they are similar based on subject matter, I realized I’d kind of been approaching Feline Dreamers and my writing career separately, almost as if I had two businesses. In my coaching program, I’ve mostly focused on Feline Dreamers and the type of things we do – online and in-person workshops and courses, spiritual mentoring, that sort of thing. 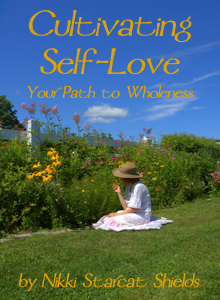 But my biggest passion is my writing, and in particular getting the word out about the subject of my latest book, The Heart of the Goddess, which is the rise of the Feminine Divine. Working with my biz coach, who is amazing, I’m discovering that there is a way I can merge the two into one main focus. On the surface, it might look like my stated goals haven’t changed that much. But merging the two is really powerful for me in terms of mindset and approach. I’ll have more to say about this in future posts, I’m sure, but right now it’s still percolating on the back burner. It feels empowering. This week I started working on revisions for my novel, Patterns In the Void. That feels really good. All of my book stock has now arrived, and so I’m ready for book sales at upcoming events and such. Other than that, I haven’t taken new actions on my goals. Life has been taken up with my daughter’s birthday weekend, and also I got sick with a cold and have been recovering. But I’m hopeful for more progress during the rest of this week, as I’m feeling better now and much more on track. This week I’ve been taking some baby steps toward my goals. For some reason, the whole notion of book promotion feels intimidating. I’m sure my fellow writers can relate. I mean, this is my fourth book, so I’m used to doing certain things to get the word out. But for The Heart of the Goddess, my goal is to expand my readership, in a big way. I’m so passionate about getting it out there into the world, because I think we really need these techniques and this wisdom in our daily lives. I kept putting off taking action, though, because, it turns out, my tasks were too big. “Work on book promotion plan” is pretty vague. I broke it down to “schedule 5 tasks from book promotion plan.” I chose 5 smaller tasks and put them in my calendar. Today, I was at a local coffee shop which is also a bookstore, and I inquired about having my books for sale there. The “book guy” wasn’t in, but they gave me his email address, and tonight I wrote to him. They accept books on consignment, and they also have regular book signings where several local authors come and do readings and signings. That feels like a really positive step! Quester has finished reading my Patterns In the Void draft and gave me so great feedback! He also really liked it, which I take as a good sign. He’s a Libra, and is good about giving honest feedback. Plus he enjoys books in this genre (urban fantasy). I met with my friend who is on the worship committee at the UU church where I’ll be speaking later in the month. The plans for the service are coming along nicely, and I’ve been reading Talk Like Ted (on how to give a good speech) and making notes for the speech. I guess I’ve done more this week than I thought I had. Those baby steps can add up quickly! I hope you have a very productive and fun week! I probably won’t check in again until next Wednesday, as this weekend will be very busy with my daughter’s 18th birthday celebration. I can’t believe my youngest is going to be 18! Time flies. This Round has gotten off to a somewhat slow start, but hey, I’m not really complaining. My most exciting thing lately is that I started a new bullet journal, and after doing it for a week, I love it! 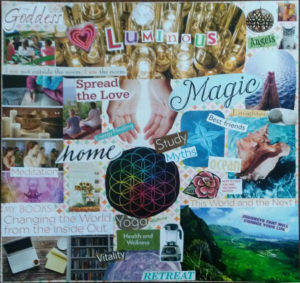 I also created my vision board for 2017, and my word of the year is LUMINOUS. So, really I’ve been mostly focusing on things that are getting me ramped up for the year ahead. Which, second only to my daughter’s birthday, is my favorite thing about January. I ordered more book stock, thanks to a small business loan from my Dad. I’m ready for all the upcoming appearances I’ll be making. My guys are reading my novel draft and have started offering their feedback, which is super helpful as I begin the revision process. I’ve been keeping up with blogging thus far this year – though that’s only a week. I started working on my desk de-cluttering process, and it’s going well. That’s all I have to report for now. I hope your 2017 has gotten off to a creative start! I’ve had a super-relaxing New Year’s weekend, and I’m very thankful indeed! Now it’s time to jump back into the ROW 80 stream. A funny experience: I’d set up a revision plan for my novel draft, Patterns In the Void. Or at least, I reported that I did, here on this blog (on December 18th’s update), and I checked it off my task list in my daily planner (on December 17th). I vaguely remember doing it, in the craziness of holiday preparations. But I couldn’t find the actual plan at all! Not on my laptop or email or phone or in my notebook or journal or on a random piece of paper – it just vanished! For a fairly organized (at least with files and paperwork type stuff) Virgo, this is highly unusual. I really don’t know what became of it. After an hour or so of searching, I ended up re-creating it. I wonder if I’ll find the plan in some random location someday. Or perhaps it just wasn’t a good plan, so the Universe deleted it from existence for me. Heh heh. Who knows? Onward and upward – here are my goals for this Round. 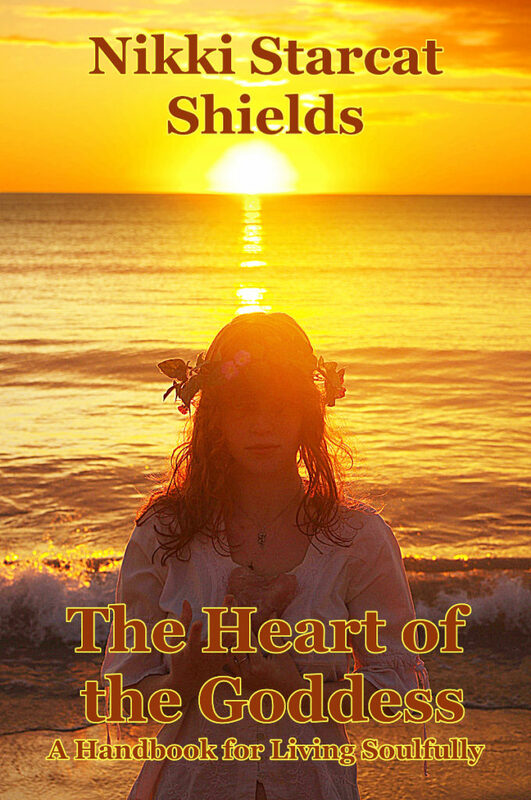 Promote and sell Heart of the Goddess book. Set up a timeline and task lists for all the items on my promotion plan. Get more reviews. Order book stock. Get my books in local stores. Do more giveaways and contests. Get the book on Ingram (so bookstores and libraries can order it). Do revisions of Patterns in the Void and send to beta readers. Use the three-pass system to revise the manuscript, during the month of January. Get initial feedback from my guys in January (using the basic draft, not revised yet) and implement their suggestions in early to mid February. Do other editing as needed in the remainder of February. Get non-family beta readers and send them the manuscript in early March. (Target publication date is July 2017). Continue my craft, finance, & business learning. Participate in In Arms Coaching program. Read at least 3 books about writing craft and/or making a living as a writer. 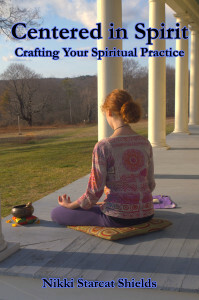 Participate in Personal Finance Consciousness Circle (PFCC). Finish reading and working through the Barbara Stanny and Denise Duffield-Thomas finance books. Build community for Feline Dreamers. Create and promote workshops and other events. Write sermon for UU service. Get 2 new speaking engagements. Make a plan for the debut of our podcast (Spring 2017). Focus on blogging. 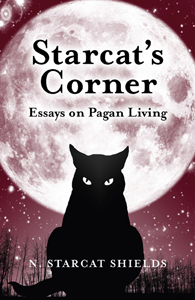 Post to my Starcat’s Corner blog at least once per week, Feline Dreamers each month, and on this blog twice per week. Write, edit, and submit monthly guest blog posts for Kind Over Matter. Submit a guest blog proposal to Mike Dooley’s site. Keep a running list of blog post ideas, drafts, and picture ideas. Winter Hometending. Clear off and de-clutter my desk and filing cabinets. Finish painting the stairwell and put up photos. Work on de-cluttering the basement. Have a great week and good luck tackling those goals!